We got early Christmas presents from Daddy. Apparently - there's a story behind these toys. He turned in a broken scale to True Value. They offered an exchange of merchandise for the broken scale. He beelined for the Kong toys which he thought was a bit too expensive for us - but since these are technically free now - he got us three toys. 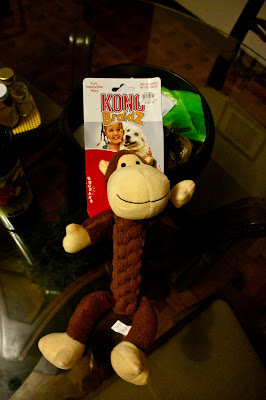 My favorite is the Kong Braidz. Char Siew seems to like it too. 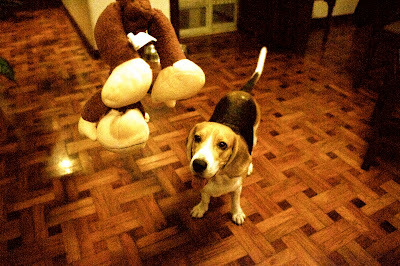 Who wouldn't want to wrestle with a squeaking monkey? 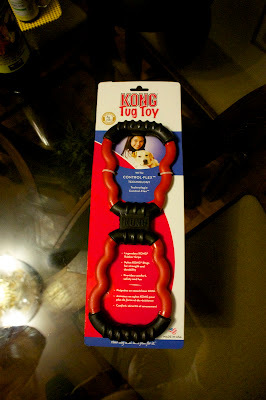 Daddy is using the Kong Tug Toy - in channeling our prey drive. He plays tug of war with us - and every time he says - Drop It - and we let go - we get either a treat or we continue the game. 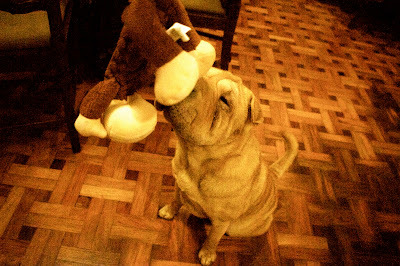 Char Siew seems to be drawn to the Kong Wubba. 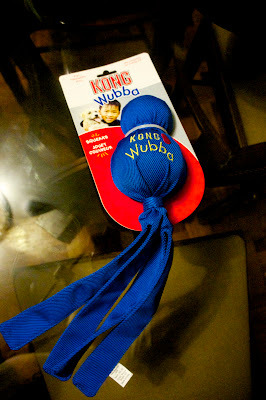 He likes playing fetch - and it's a great fetch toy. Anipals - have you received your Christmas presents? NOTE: A guest post by Midori the Beagle.